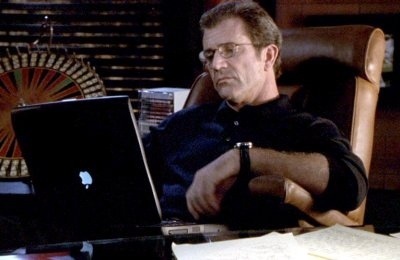 Was watching “What women want” on TV and noticed Mel Gibson working on a PowerBook that had the logo upside down. The movie is from 2000, and we’ve come a long way in terms of product placements, and so has Apple. Flipping the company logo (a Steve Jobs decision that was similarly flipped) on the laptop lid was probably one of the most useful product placement decisions ever made, and its not that old an idea either. The PowerBook seems to have starred in quite a few movies, as recent as the middle of last decade. Previous postAlgorithm to write stories, read by Essay Grading Software?